OSS’ Law Enforcement Job Descriptions Workbook is provided direct from our secure servers in one simple downloadable file. Each individual job description is in Microsoft Word, and formatted so there truly are no limitations to agency-specific modifications. Each job description workbook and individual job description may be edited, graphically enhanced, reserved for future use, added to, or even deleted. 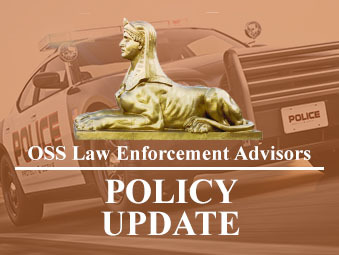 With over 2,000 clients, a unique source of OSS’ input comes through actual incidents, opinions, and perspectives shared by agency Chiefs of Police, Sheriffs, and cases OSS has been retained in as experts. 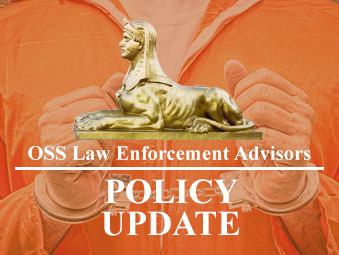 OSS stays in constant contact with our clients and their employees regarding trending issues in law enforcement liability and risk management. Whether there is a new prevailing court case, a new OSS policy or job description developed, or an online OSS Academy® training opportunity, we will email you and your staff directly. Management and officer access is provided through confidential password protected portals. 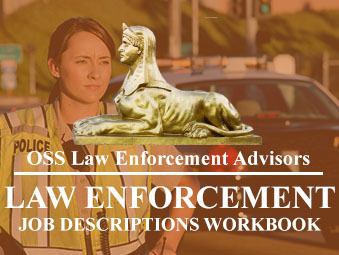 Cost: OSS Law Enforcement Job Descriptions workbook is only $395.